Here we are in San Antonio, Tx fixing a hairline foundation crack. We are using a special epoxy that is very low in viscosity; this allows the epoxy to flow deep into the crack and bond the two slabs back together. 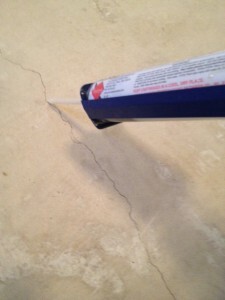 With this particular product, most cracks do not need to be chased out to allow for the material to be placed. Once we have vacuumed out the crack, we applied the epoxy crack repair and then seeded sand over the crack and used a trowel to work the sand into the crack. 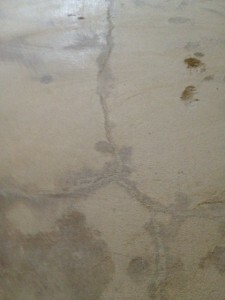 Once the epoxy crack repair has cured, we used a rubbing stone to smooth out the repair. After the crack is repaired we will apply a decorative overlay to mask the crack even more. 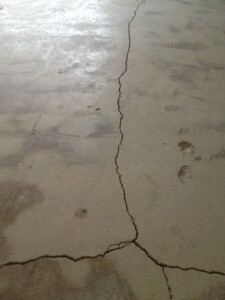 If you have cracks in concrete that need to be repaired, give us a call at (210) 422-6116. This entry was posted in Concrete Repair, Foundation Crack Repair and tagged Crack Repair, Epoxy Crack Repair, Foundation Crack, Foundation Crack Repair, Foundation Crack Repair San Antonio by mlatimer4351. Bookmark the permalink.